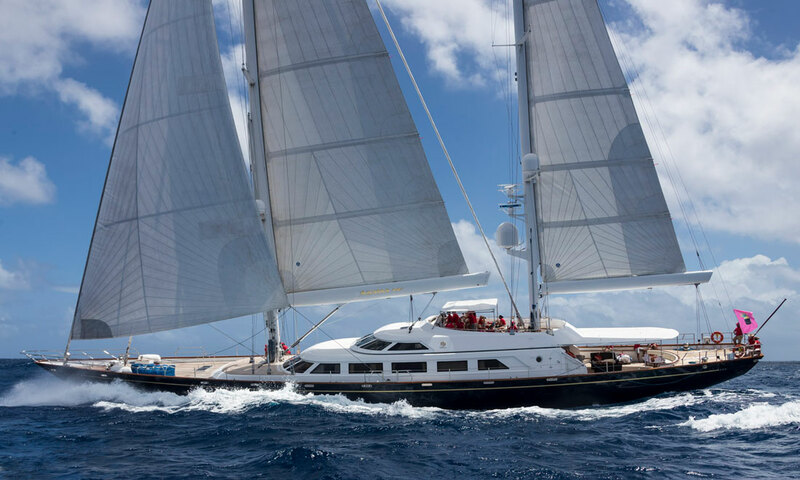 A Greek ship owning family were berthed in the Caribbean next to Felicita AM: they immediately travelled to Viareggio to order their own Perini Navi. 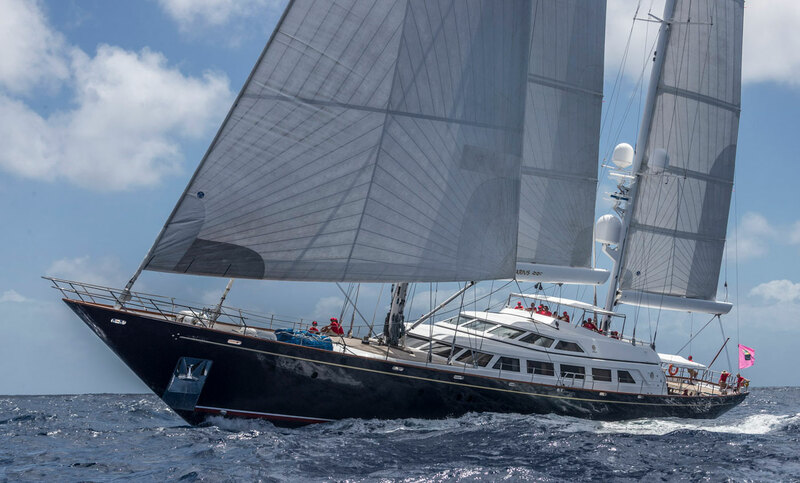 Originally named Xasteria, this 46m set the standard for an entire generation of Perini Navi yachts, and was the first milestone for a 7/10 vessel series delivered between 1990 and 1995. The yacht has a massive full beam aft cockpit, radically more spacious flybridge, half deck amidship pilot house separating the main deck salon and dining areas, forward facing dining area with 180 degree vista. 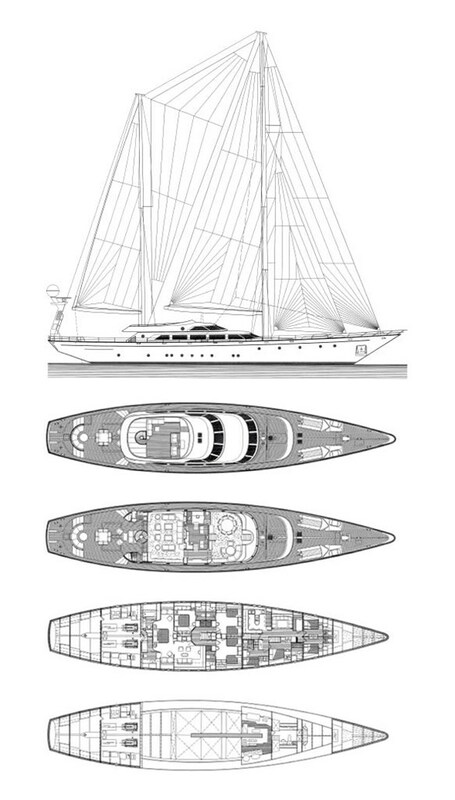 Below deck accommodation space was also radically enhanced by tucking the centreboard trunk among the double-bottom tanks – below the cabin sole, another Perini first.